When corporations partner with us, it allows us to build strength, stability, and self-reliance through shelter in partnership with families in our communities. Gifts and in-kind donations of all sorts help us further our work and bring opportunity and resources to families in need of a decent place to call home. Contributions large and small make a difference, and we believe there is something every company can give to allow us to help even more families build better futures. Building materials and tools: nails, two-by-fours, paint, and more. One of our most valued gifts-in-kind are the materials used to build homes. 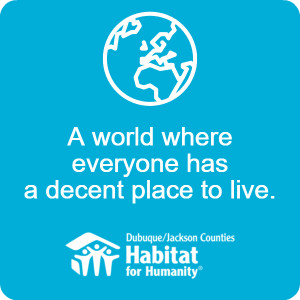 Habitat for Humanity regularly ranks as one of the top 20 homebuilders in the United States and is the largest privately held homebuilder. For example, in each one of the homes we build in the U.S., we require approximately 150 pounds of nails and 400 two-by-fours. With the average Habitat house consisting of 1,200 square feet and three bedrooms, these numbers add up fast—so donations of building materials from corporate manufacturers are always welcome! Additionally, in some cases, retailers with overstock items donate those goods. 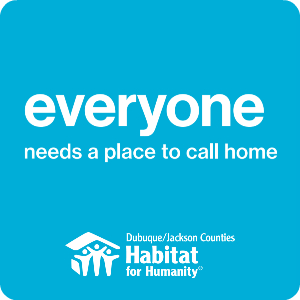 We are experts in creativity and enjoy working with corporations who want to donate building materials for home construction or overstock items, so don’t hesitate to contact us about your desired donation. Gifts of tools, materials, and labor are essential to keeping our homes affordable. And, of course, gifts are tax-deductible, so you or your business may benefit from the tax savings. Please contact us if you would like to offer a gift in kind.